In the last column of a job application, there’s that tricky question: Reason for Leaving. John Manderino has apparently had to puzzle over that one often and long. 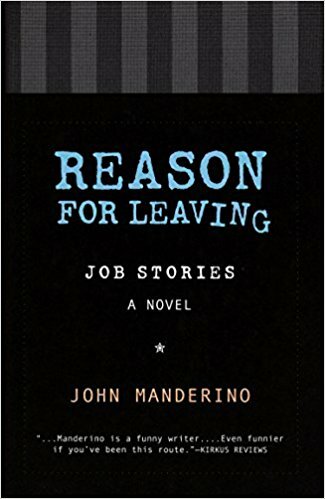 His answers are collected here in this hilarious novel-in-stories tracing the history of a guy trying to grow up job by job. Delivery boy, altar boy, busboy, teacher, cotton picker, umpire, Zen monk–Manderino’s protagonist tries on one hat after another, from Chicago to Arizona to a South Dakota reservation where he longs to be given an Indian name, “something like Many Roads, or Many Jobs.” A funny, moving portrait of a man’s journey of becoming. But becoming what? The answer lies behind all the reasons for leaving. "…an earnest and humorous look at the milestones in life…"
"…funny…surprisingly poignant, highlighting just how intricately the identities of American men are tied to the work they do." "…contains the funniest, sharpest dialogue I’ve read in years. I love this guy’s prose—clean, clean, clean with a musical flow…"
"…so perceptive at detailing the emotional component of just about everybody's job experiences. You will recognize yourself in these funny, moving pages." 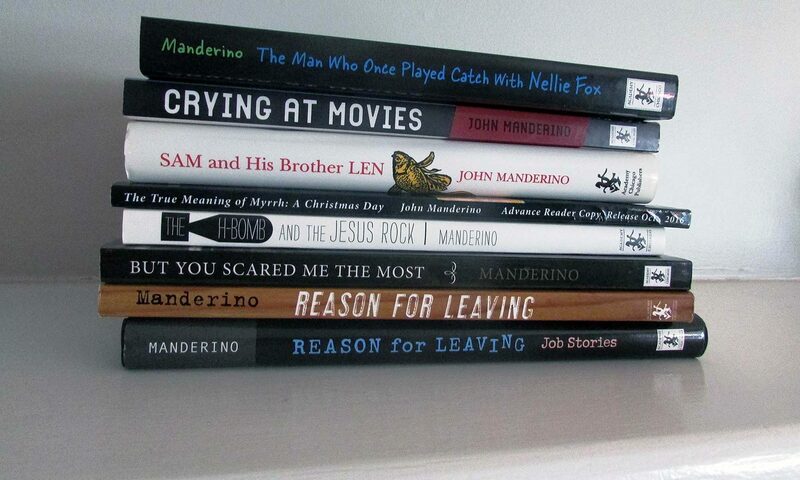 "… Manderino is a funny writer…"